Can you post the board file ? 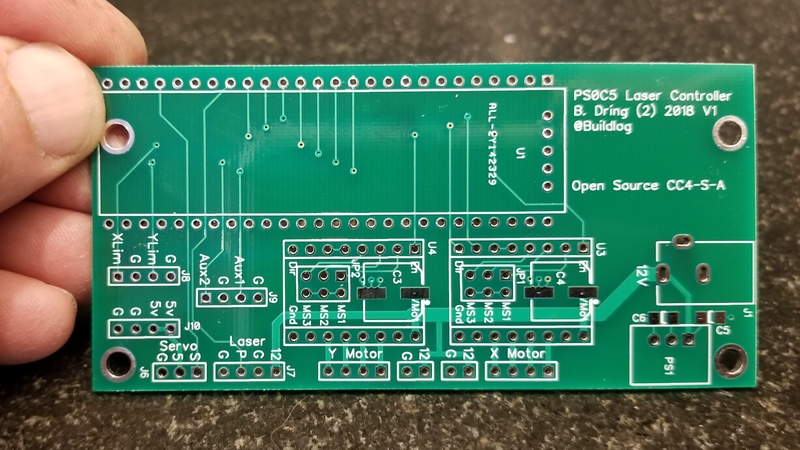 I have followed your work on the grbl and bought some of the psoc boards and am working on adding some features like using bluetooth with android for the interface so it can be stand alone using a cheap tablet for the interface. Thanks so much for all you have done. I will post all the sources after I have finished testing. I don’t want to post any mistakes. I expect to be there within the week. Just curious but why are the pins on the 5V connector ordered G G 5V 5V instead of having two 5V/G pairs? No real reason for the G G 5 5 order other than it was quicker to route. I have not used them yet except as an easy access test point. I am dying to try this project. I’ve been looking for something just like this. Can you please release the pcb file? I added the source files to this blog post. I would LOVE a few boards. I shot you an email. Thank you so much for releasing the files and sharing the designs. This thing is beautiful. It’s me again. The schematic PDF link leads to the gerber files on accident?? I cant find a PDF anywhere. 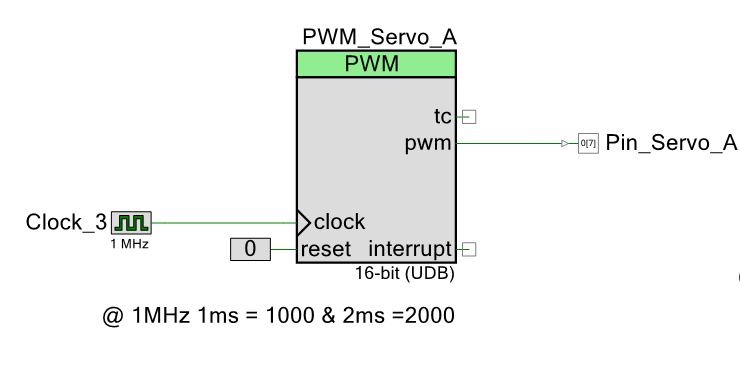 Thought of adding a jumper for connecting spi to the drivers like they have for the TMC, or maybe using bigfood socket? 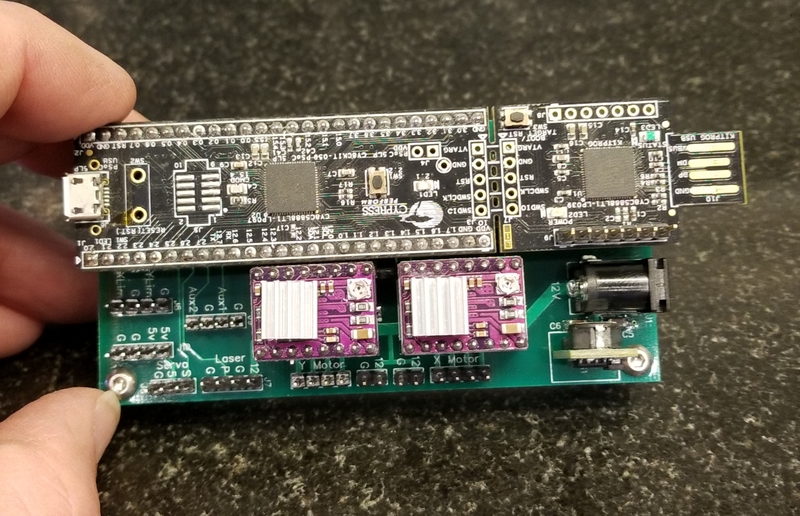 It looks like the ESP32 modules I use. 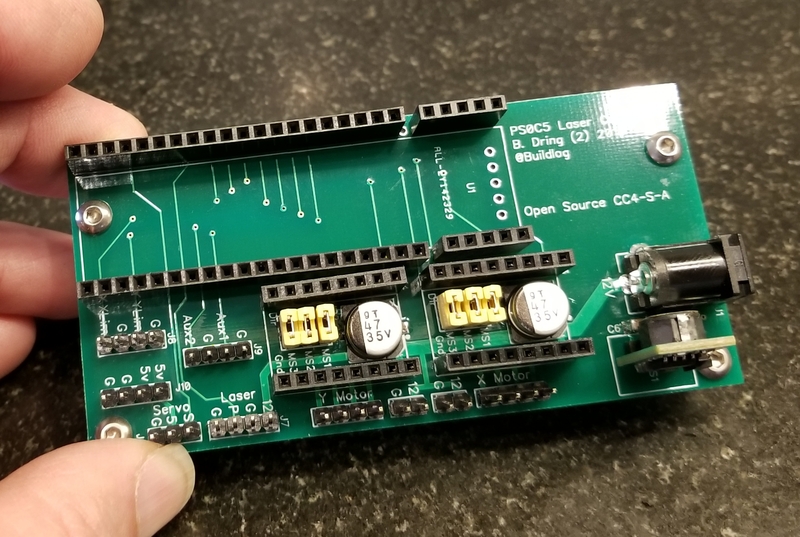 what parts are needed to populate the board besides headers? perhaps a BOM?